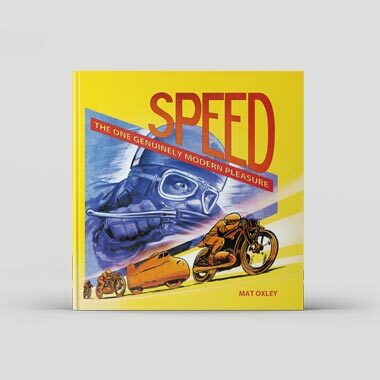 If Guy Martin had become the world’s fastest motorcyclist last September he would have been the first man in six years to break the land-speed record. Long ago things were a bit busier. 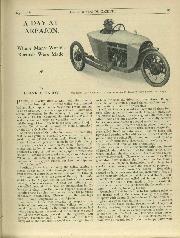 During its heyday – the 1920s and ’30s – the motorcycle LSR occasionally changed hands several times in one day. Throughout much of this period the global centre of high-performance motorcycling was a street in Tottenham, north London. The JAP factory, founded by unsung hero John Alfred Prestwich, was famous for its 1000cc v-twins. Inevitably, these became the weapon of choice for adventurous British riders. A JAP took the world record for the first time in 1924, at 118.98mph, and reclaimed it for the seventh time in 1937, at 169.98mph. Prestwich’s cutting-edge engines had excellent performance and reliability, so much so that his v-twins carried superchargers as the quest for higher speeds continued. Apart from engine manufacture, Prestwich had little to do with these achievements. The record-breaking was mostly undertaken by plucky privateers, tinkering away in their sheds to deal with newcomers BMW and Gilera, both ultimately bankrolled by the fascist governments of Germany and Italy. JAP engines – usually housed in Brough Superior chassis – were fiery beasts on the Brooklands banking but they soon outgrew its confines. 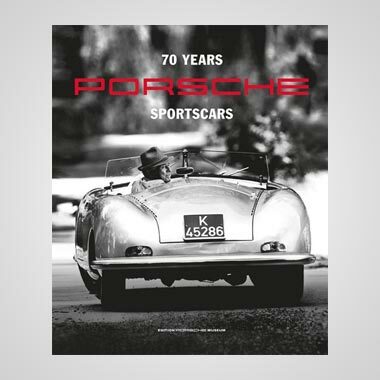 From the mid-1920s all official record attempts took place on straight-as-an-arrow roads outside Britain; Arpajon in France, Gyon in Hungary, Cork in Ireland and finally on Germany’s autobahns and Italy’s autostradas. Le Vack recording 126.75mph on his final run. Le Vack, nicknamed the Wizard of Brooklands, was a self-taught engineer and racer who spent several years working for JAP. He was famous for brewing noxious dope, using alcohol bought from the Hammersmith Distillery Company, where a gallon of 98 per cent proof cost £1 (about £60 now). Legend has it that he also fettled Lawrence of Arabia’s Brough Superiors. 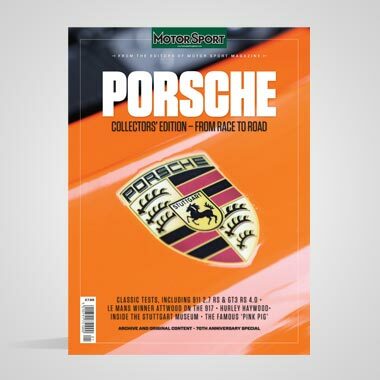 Le Vack’s 126.75mph record lasted just three weeks before Ernst Henne and BMW went 8mph faster, using the narrow but straight Munich to Ingolstadt road. The following summer Wright returned to Arpajon where he bettered Henne, reaching 137.23mph on a supercharged JAP OEC. Once again BMW’s reply was immediate, Henne returning to the Ingolstadt road three weeks later to edge out Wright by just 0.3mph aboard a supercharged 750cc flat twin. While Henne had BMW behind him, Wright and his fellow Britons toiled away with scant resources. Their dyno was Brooklands, where they tested each modification until they felt ready to have another crack at the record. This time Wright was ready to respond almost immediately. He travelled to Ireland, to a newly concreted stretch of road between Cork and Carrigrohan Castle. There he made history: the first man to surpass 150mph on a bike. He achieved this using rudimentary aerodynamics and a JAP engine with Centric supercharger. Wright wore a teardrop-shaped helmet and thick woolly jumper, sealed with tape at the neck and cuffs to reduce drag. BMW’s effort to keep the record in Germany redoubled during the 1930s. In October 1936 Henne raised it to 169.08mph, riding the newly built Berlin/Munich autobahn on a bike that looked like a fighter plane without wings. 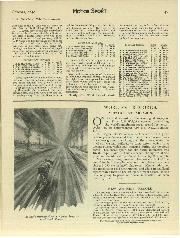 Meanwhile Britain had a new challenger to succeed Le Vack, killed in a road accident, and Wright, who had retired from record-breaking. 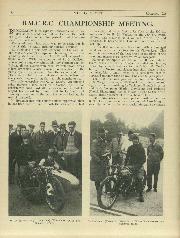 The fabulously named Eric Crudgington Fernihough had made his name at Brooklands and in continental road races. He had all he needed for the job: plenty of daring, as well as a degree in chemistry and engineering from Cambridge. 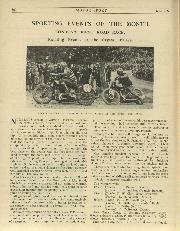 In 1937 he took his Brough Superior to Gyon, where a new section of highway had become the place to go fast. There Fernihough raised the record to 169.72mph. 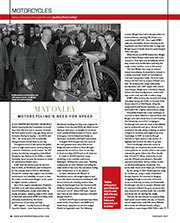 He remained the world’s fastest motorcyclist for six months, when a new power entered the game. Gilera rider Piero Taruffi, later a Ferrari F1 driver, pushed the record past the 170mph mark aboard a Mussolini-approved streamliner during a dawn session on the Brescia/Bergamo autostrada. Five weeks later Henne went faster yet, 173.67mph. By the spring of 1938 Fernihough was ready for another go, using a newly streamlined Brough Superior. He returned to Hungary, struggling through a vast mass of German troops on their way to annex Czechoslovakia. Fernihough’s aim was to surpass 180mph and he may have achieved his goal, except at that very moment his machine broke into a wobble and threw him off, injuring him fatally. This was the last attempt on motorcycling’s land-speed record before the war, so Henne’s record stayed intact until 1951 when Wilhelm Hertz broke the 180mph barrier, riding a streamlined, supercharged NSU 500cc twin. 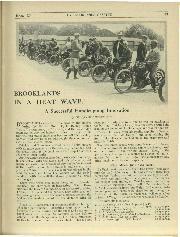 BROOKLANDS IN A HEAT WAVE.